Rickey Gates ran the Mount Marathon Race for the first time in 2013, and was inspired to do so because his mom once ran and placed well in it. In this interview, Rickey talks about what draws him back to Mount Marathon for a now third time, what stories from the race’s history intrigue him, and what it’s like to see other runners from outside Alaska take interest in the race. iRunFar: Mauri Pagliacci of iRunFar in Alaska with Rickey Gates. How are you doing, Rickey? Rickey Gates: Doing great, thanks, Mauri. iRunFar: How many times have you raced Mount Marathon actually? Gates: This is going to be my third year, so I’ve got two races behind me. iRunFar: That’s great. How do you actually know this Mount Marathon? Gates: I actually got into Mount Marathon two years ago thanks to the generosity of the title sponsor here which is Wells Fargo. They were given two extra bibs. Wells Fargo generously gave me one of those extra bibs two years ago. Last year I went with the more standard lottery process and got in that way. iRunFar: I mean, this is a pretty far away race from the U.S. and it’s not really known. I actually got to know it from the video you were in two years ago. You were there. How did you get to know of this race? Gates: I got to know this race because my mom actually competed in this race in 1969. She was traveling around all over the States, but she had come up to Alaska in 1968 to make some money in the canaries up here. In 1969 she came up to do the same, but the salmon weren’t running that year, so she had some extra time and no money. She came to Seward, Alaska, where they offered her meals here in town if she competed in the race. She was getting a couple meals a day for about a week and running up and down the mountain every single day. Come race day, she came in second of the women. She would soon point out that there were only two women in the race that year. At any rate, the local Seward newspaper wrote a small article on her. That was always hanging up in our hallway growing up. Yeah, I guess I knew about this race before I was a runner, trail runner, mountain runner, or before I had any interest in the sport. iRunFar: With all this history around your family and you and your mom, how do you feel coming back 40 or 50 years after? What does it mean for you? Gates: Certainly the first year I came here there was a lot more anticipation. You hear a lot of stories about Mount Marathon, but nothing can really prepare you for what the mountain looks like, how steep it is, how treacherous the descent of the mountain is, and how much energy there is surrounding the race. That’s kind of dissipated over the past couple of years, but I’m grateful this year to be able to bring a couple friends with me and kind of see this same excitement in their exploration of the mountain and the culture up here. iRunFar: You actually brought Kilian [Jornet] and Emelie [Forsberg] here, like you got them to know Mount Marathon here. How do you feel to show this race to the outside of the world? Gates: I guess it’s not really my race to show to the rest of the world. The race is what it is. It’s an incredible event. I’ve been fortunate to be a part of it for the last couple years. I simply passed that onto Kilian and Emelie. I know those guys have the ability to go race anywhere in the world. I’ve done a lot of the same races they do, and I know that they appreciate a real genuine race when one comes around. In my opinion, I think that this is one of, if not the most genuine races in the U.S. and really one of the only few races that can really call itself a mountain race. I think there are a lot of questions if you tell people you’re a mountain runner—what is a mountain runner and what is a mountain race? I think for the most part people don’t really understand it. Here in Alaska, and definitely here in Seward, they understand it. It’s an open course. It’s dangerous. It’s a race to the top of the mountain and back. 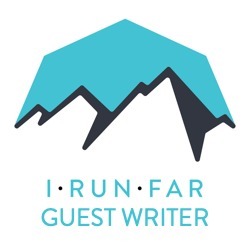 iRunFar: You got yourself really involved in the community of Alaskan mountain running with this race. You got to Seward and you got to see all the mountain runners. Why do you think there are really great mountain runners here in Alaska besides this trail and the Mount Marathon Race? Gates: I think the main reason that this sport is so rich here is simply because it’s all there is here. It’s right out the back door. If you’re not a mountain runner, then you’re running on the roads. There’s nothing wrong with that, but it’s certainly more exciting to get up on the hills. The nature of the latitude up here, you go 1,000 feet above sea level and you’re already above treeline. Anyone that’s spent a lot of time above treeline, they know your possibilities at that point are just endless. Why wouldn’t you, is what it comes down to? iRunFar: Thanks very much for your time here. Have a great weekend. Gates: Thank you, very much.